Happy Saints: St. Thérèse Prayer Journal - A Useful & Unique Gift! St. Thérèse Prayer Journal - A Useful & Unique Gift! 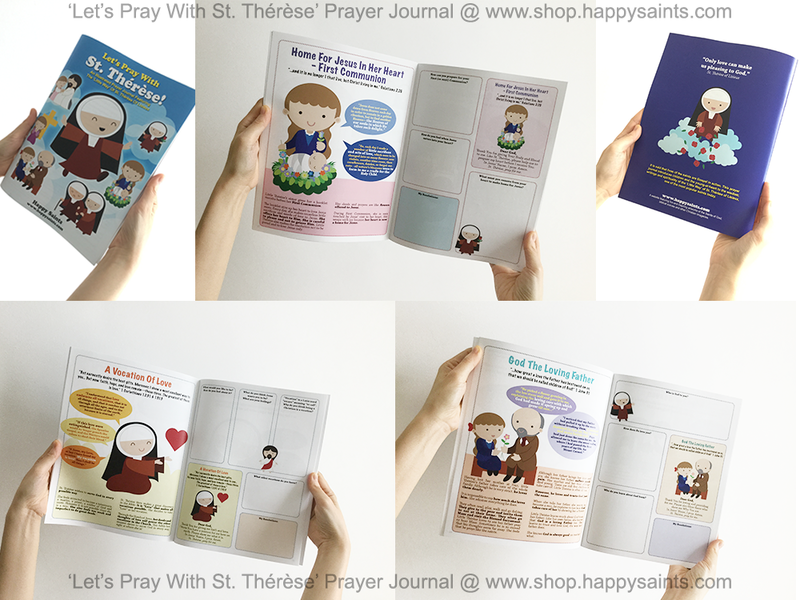 Check out the print version of ‘Let’s Pray With St. Thérèse’ Prayer Journal by Happy Saints! This 40-page full-color journal is illustrated with Happy Saints artworks and features the sayings of the ‘Little Flower’ with prayers, reflection passages and worksheets. It uses St. Thérèse’s wisdom to encourage the young and young-at-heart to explore their unique relationship with God. Makes a useful and unique gift for others and yourself! The print version is available online using Magcloud print-on-demand platform. It ships from the USA.